On Frauenhoferstraße, you'll find Super Danke right next to the Flushing Meadows hotel (and rooftop bar.. but more on that later). 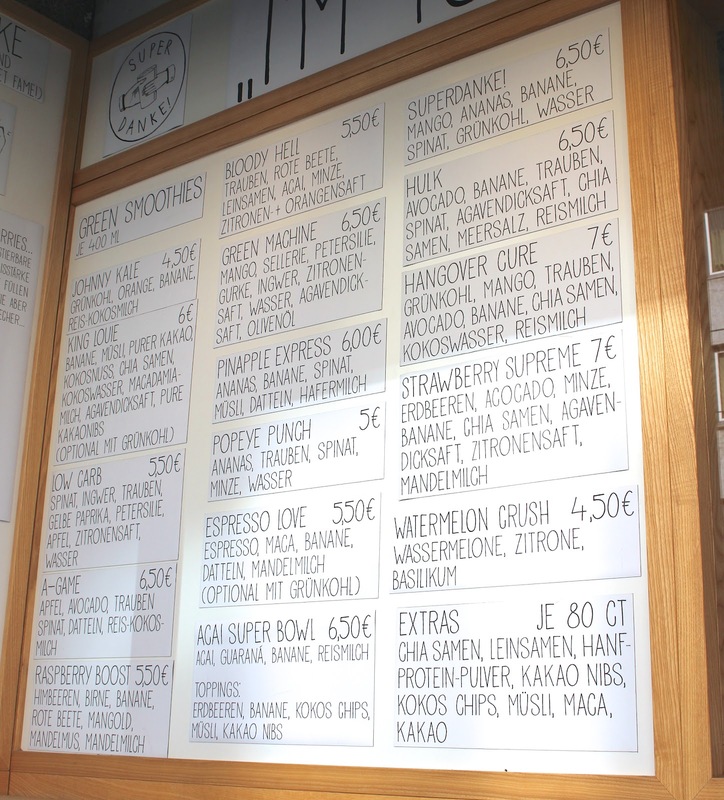 The smoothie menu is large which makes it hard to decide. Johnny Kale, Pineapple Express. Hangover Cure, Hulk... the smoothies all have a fun name, which is always a plus! 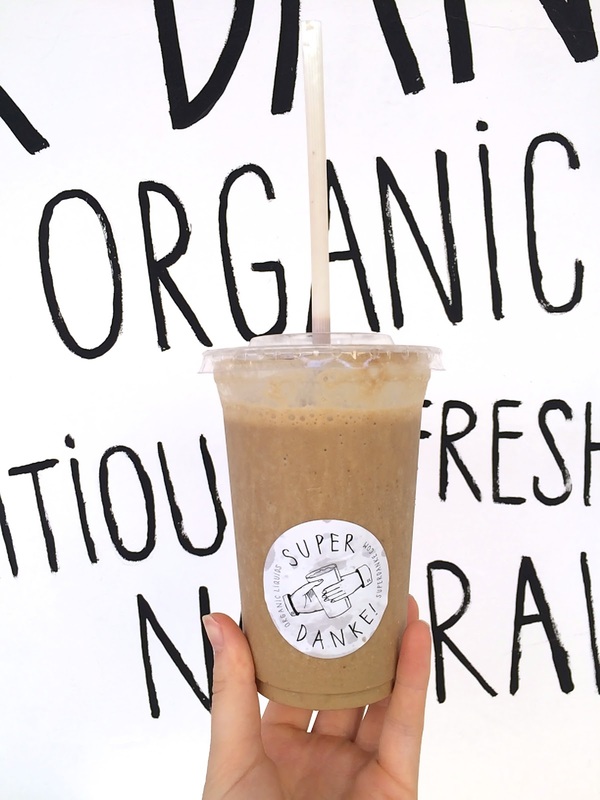 Each smoothie is made with as many local and organic ingredients as possible and is blended in a Vitamix. 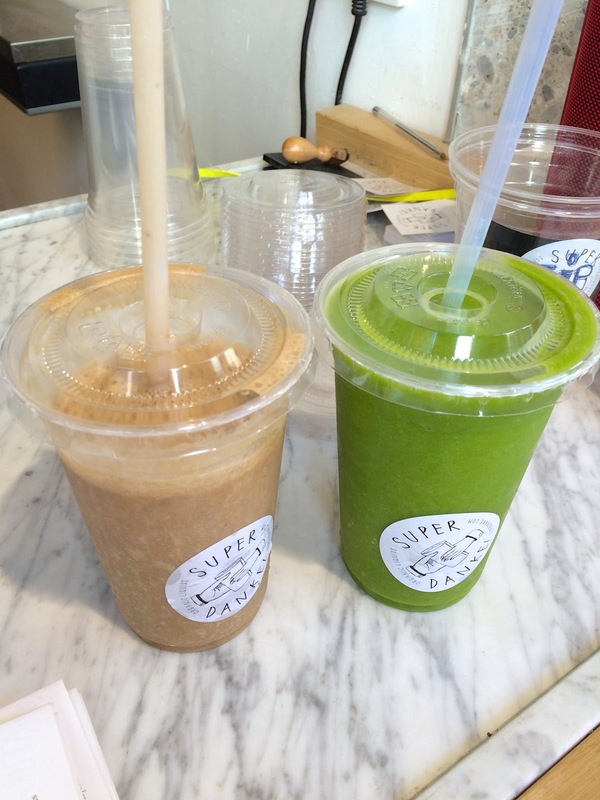 Aside from smoothies there are also green juices and Acai bowls. I tried the Espresso Love, with espresso, frozen banana, Maca, dates and almond milk. Ice cold, a good espresso kick, sweet banana... it tasted like heaven! I must try to recreate this beauty. It might not be the prettiest colour but damn this was tasty! 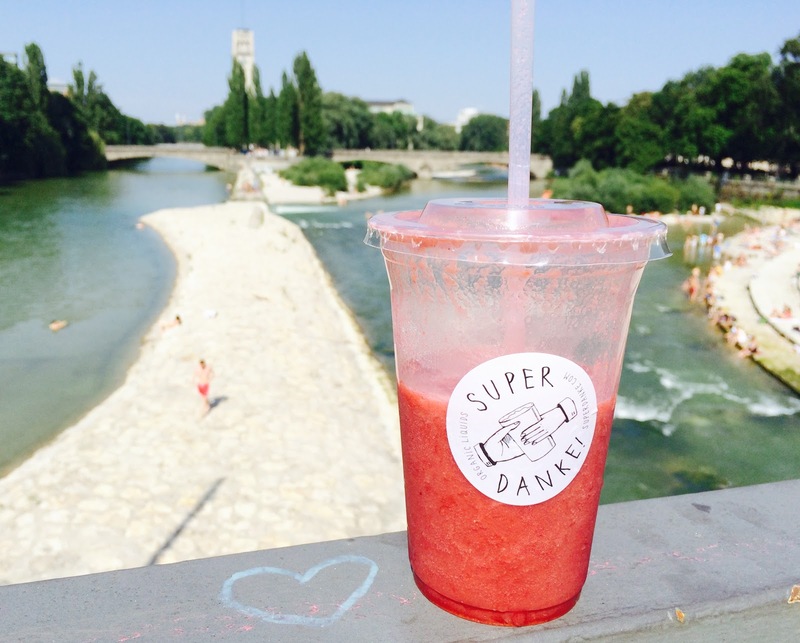 The best thing on a beautiful day is to grab a Super Danke smoothie and walk over to the Isar (down the street). 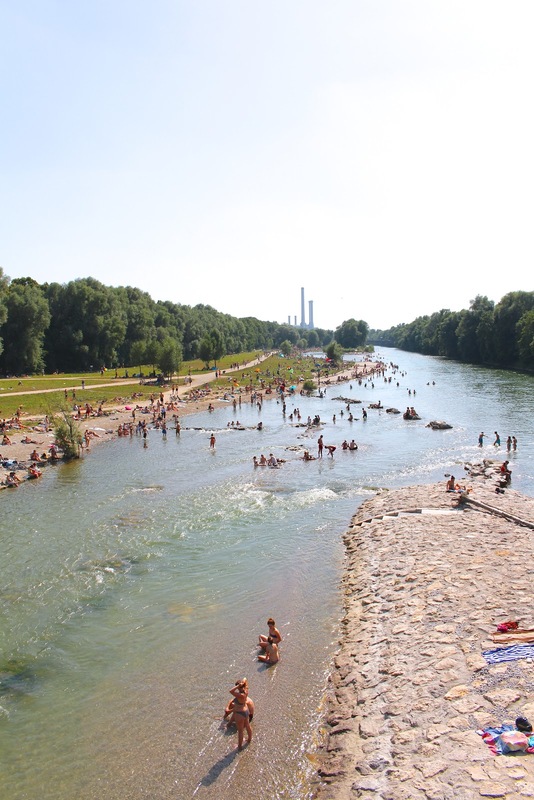 Feet in the water, smoothie in your hand and you'll feel like a new person. If you're in need of a healthy treat or something to cool off (guilt-free! 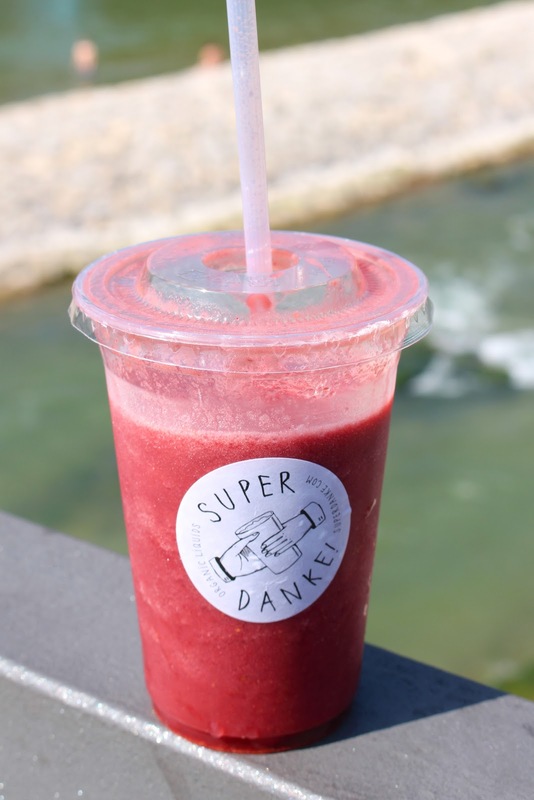 ), head over to Super Danke, their smoothies are verrry good. Your tastebuds and body will thank you forever.